Purchase online SCT-013-000 100A Non-invasive AC current sensor in India at low cost from DNA Technology,Nashik. 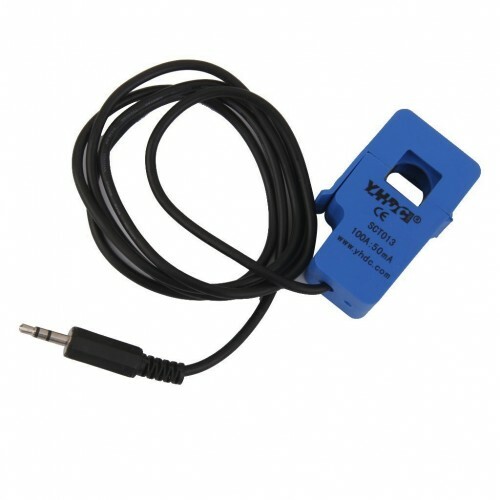 SCT-013-000 is a Non-Invasive AC current sensor i.e. it is a current transformer which can be used to measure AC current upto 100 ampere. Current transformers (CTs) are sensors that are used for measuring alternating current. They are particularly useful for measuring whole building electricity consumption (or generation for that matter). 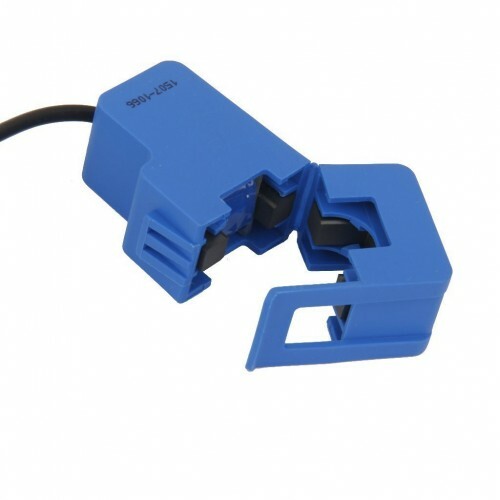 The split core type such as the SCT-013-000 CT in the picture, is particularly suitable for DIY use it can be clipped straight on to either the live or neutral wire coming into the building without having to do any high voltage electrical work. In the case of whole building monitoring the primary is the live or the neutral wire (not both) coming into the building itself and goes through the hole in the CT. The secondary winding comprises many turns of fine wire housed within the casing of the transformer. Cable Length: Approx. 1.18m/ 45.4"
ACS712 Current Sensor Hall effect current Sensor with Maximum rating of 20 AmpereThe Allegro™ A..
WCS2702 Current SensorThe Winson WCS2702 provides economical and precise solution for both DC and AC..
WCS2705 Current SensorThe Winson WCS2705 provides economical and precise solution for both DC and AC..
ACS712 Current Sensor Hall effect current Sensor with Maximum rating of 5 AmpereThe Allegro™ AC..